Random thoughts of Xavier Lechard. "As he freely admitted, Conan Doyle learned a lot about how to write detective stories from Poe. Indeed, without Conan Doyle, Poe's brand of detective character might not have survived. Dupin lacked most of the prerequisites of a popular, memorable, successful literary character. Sherlock Holmes, however, while exhibiting the same intellectual equipment possessed all of the human qualities that Dupin lacked. Nonetheless, in spite of Conan Doyle's successful transformation of Poe's Dupin into an appealing literary hero, Conan Doyle never quite fully understood the principal purpose of Poe's hero or of Poe's tales - he never understood that they were essentially designed to develop and satisfy a new relationship between writer and reader that shifted the purpose of the crime novel from evoking sentiment to playing a game. And, at the turn of the century, Conan Doyle was not alone in this. It was the same mistake made by Gaboriau and by almost everybody else writing detective stories in the 19th century who saw the core of the detective story as an exhibition of reasoning to be admired as opposed to a game to be played between the writer and reader. 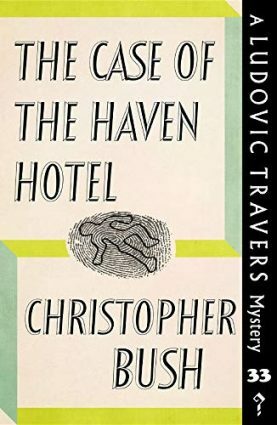 This recognition took another generation and became the motive force behind the golden age of detective fiction in Britain and America." 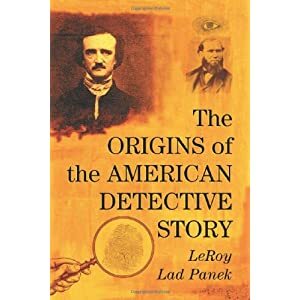 LeRoy Lad Panek, The Origins of the American Detective Story, p.216. I've never quite got Poe I'm afraid although I have read most of his stories. There's something that doesn't quite connect for me and from what you suggest this might be because it is largely an intellectual exercise for Poe. Ceci est le blog de Xavier Lechard, où celui-ci poste ses opinions et ses réflexions sur la littérature (essentiellement criminelle) mais aussi sur la musique et le cinéma. Vos commentaires sont attendus et appréciés. This is Xavier Lechard's blog where he posts his thoughts and opinions on fiction (mostly of the criminal kind) and also music and film. Your comments are awaited, and much appreciated. C'est un oiseau, c'est un avion, c'est... Hercule Poirot! What Makes a Good Detective Story Good? L'ouvreuse.net : Entrez dans le cinéma !